As often happens to iconic figures, in the just over thirty years since the death of influential reggae musician Bob Marley, the man has largely been obscured by his legend. 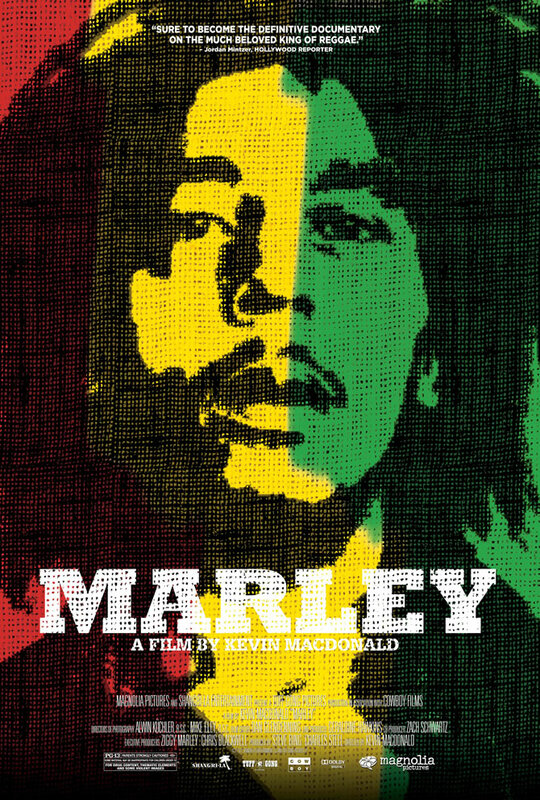 Kevin McDonald's documentary film MARLEY sets out to rectify that, presenting a comprehensive and balanced portrait of Marley and the forces that forged his music and ideology. MARLEY is presented in an “oral history” style. Nearly everyone who had an important role in Bob Marley's life and career and is still alive is given the chance to relate their memories as they see fit. Even some people who are no longer with us, including Marley himself, get to speak their piece via archival footage. Occasionally one interview subject will contradict another, but thankfully there is no effort present one viewpoint as more true than the other. The result is a film that paints a portrait of its subject just as ambiguous as real life without feeling messy or unfocused. Born in Jamaica of biracial parentage, Marley was an outsider from birth. As a child, he was often mockingly called a half caste by his fellow countrymen, leading him at an early age to reject notions of black and white. These early years were also spent in poverty, and like many artistically inclined individuals, Marley saw music as a way to escape his situation. Aside from poverty, the other major societal force that played a key a role in Marley's evolution was the religion of Rastafarianism. Rastas are often reduced to little more than dreadlocked ganja-smoking stereotypes in popular culture, so it's appreciated that MARLEY provides a decent primer on the belief system for those looking for a better understanding of it. That's important, because Rastafarianism played such an integral role in Bob Marley's music as to be inseparable from it. As one would expect, MARLEY is largely a celebration of its subject's life and music. That said, it doesn't shy away from showing his flaws. Some might feel the need to invoke the old saw about separating the art from the artist; a more appropriate response would be to accept the fact that our heroes, no matter how influential or talented, can't be perfect in every aspect of their lives. Stylistically MARLEY feels like countless other artist biopics, interspersing old film clips and photos between the talking heads. There's no sense in reinventing the wheel, though, and the frankness, thoroughness, and nuance of McDonald's film elevates it above the average “behind the music” style biopic. 3 out of 4 stars. I'll wait for the dvd, but it certainly sounds like something I need to watch. Thanks!